In regards to retail design, it’s all too easy now to choose some stylish images from what others have crafted, or maybe even plagiarised themselves. What is missing is the employment of strategic design thinking to deliver creative solutions to overcome the challenges within the retail domain. Traditionally, commercial design has been focused on delivering a good-looking result, but rarely does the design actually address the deeper-seeded problems businesses are facing today. Companies come to us with a brief driven by the problems they face. Our job is to provide an answer to these challenges that should always be underpinned by a strategic approach. This is where strategic design thinking comes into play. Good design thinking intertwines with our natural behaviours and thought patterns, but much the same as writers who suffer from writer’s block, designers often forget how to think like a designer. It happens even to the best of us. The problem is that we’re beginning to rely on ‘click and save’ too often and forgetting how to be truly creative with our work. Strategic design thinking represents the purpose to direct creative ideas towards a desired outcome, it can be a pictorial, a sketch, a model, a film, or even be acted out. As designers we should be aiming to help people emotionally experience products, graphics, software, systems, and/or spaces that the strategy seeks to describe. In an ever-changing business environment, strategic design thinking is no longer just for designers. The methodology is now being considered and applied by open-minded business leaders as an effective approach in creating and maintaining a long-term competitive advantage. Leaders and managers need to think like designers – it’s not about how things are but how they might be. The design mindset is not problem focused, it is set to be solution focused and action orientated. As designers we use analysis and imagination to solving our clients’ challenges by using creative but logical thinking. We draw upon logic, imagination, intuition and systematic reasoning to explore possibilities of what could be, that’s why I love what we do. I’m a proponent of sketching and building models – the reason we do this is to encourage feedback from both our team and clients and this helps us to work through the problem we are trying to solve. In a sense, we build to think, when we sketch we begin to build the strategy itself in a much more powerful way. This is crucial to the way we operate and how our designs lead to results. Too often, this stage is skipped, as some designers would rather adopt a word-formed strategy that results in a design that isn’t fully understood until the completion of the actual project. In its current state, Australian retail lacks true strategic direction and is also combating the challenges of online shopping – the end result is consumers losing interest in retail spaces and shops. One tip for retailers is to understand the customer and the ‘human factors’ through quantitative and qualitative research of both the tangibles and intangibles associated with a customer’s end-to-end experience, and to act upon this. 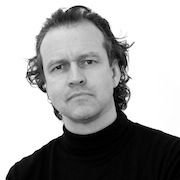 Alex Ritchie is the creative director and co-founder of international design consultancy, e2. 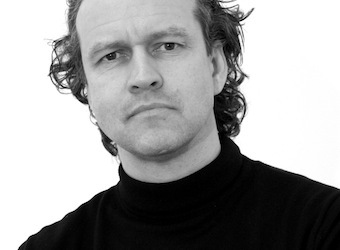 He is a highly experienced and respected brand designer who has worked across Europe, North America and Australia for over 23 years.